OK, we admit to obsessing a little bit over pizza and dumplings, fried chicken and tacos here in the Rose City. But deep down inside, binging on comfort food in 2017 has been our way of processing the conflict and uncertainty that's swirled around us all year — between Black Lives Matter and Me Too; health care and immigration; mass shootings, hurricanes, wildfires and more. Whether it's breaking bread with friends at your favorite neighborhood spot, strolling for late-night food with your sweetheart or catching up with family at a place you've been going to for 20 years, food is the fuel that brings us all together. Delighting in it keeps us sane and brings that shot of joy when everything around us seems like it's falling apart. • Carrie Welch is co-founder of Feast Portland, the four-day food and drink festival that celebrated its sixth year in September. Feast 2017 reported a record 17,948 attendees throughout its 45 large and small events across town, which included 134 chefs, 56 wineries, 17 breweries, 11 artisans and 13 distilleries. Driving Feast is its social mission; Feast 2017 raised $66,672 for its charitable partner, Partners For a Hunger-Free Oregon, to end childhood hunger in the region. A special Feast event also raised $5,370 for Eagle Creek Fire relief efforts through Friends of the Columbia Gorge and Red Cross. "The camaraderie and collaborative spirit that flows through our city and state is what brings it all together and sets our festival apart," Welch says. "You'll always see more great food and drink from us. That means more creativity, diversity and excellence represented in different ways throughout the festival." • Chris Angelus gets food lovers in a room together, and the rest is magic. Since 2010 he's organized Portland Food Adventures dinner series, where attendees get to hear from the chefs directly about their inspirations. In 2015 Angelus took that to an international level with his culinary trips to Europe, with three trips planned for 2018 — to Barcelona, Sicily and Mexico City. "I cannot imagine anyone getting tired of Tuscan truffle hunts followed by truffle lunches, wine-paired jamon tasting with Ataula chef/owner Jose Chesa in Spain, and indulging in the best local food opportunities ... chosen specifically by our host chefs and artisans," he says. Angelus also hosts the Right at the Fork podcast, which features candid interviews with chefs, makers and restaurateurs. • Liz Crain is a master of food in publishing, having written "Food Lover's Guide to Portland," the Toro Bravo cookbook, and this year's "Hello! My Name is Tasty," with Tasty n Sons chef/owner John Gorham. 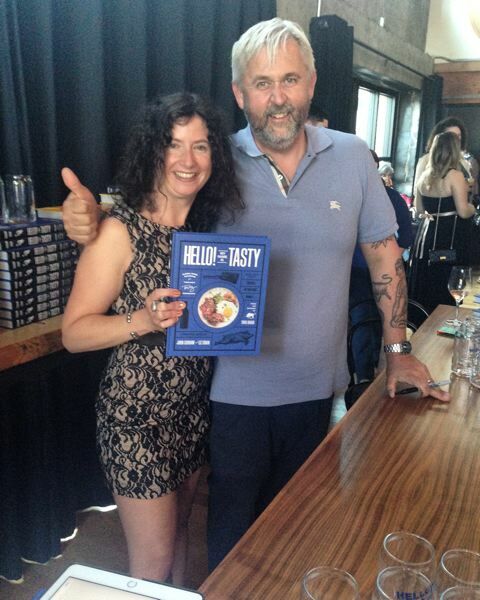 She's now working on a Shalom Y'all cookbook, as well as a hard cider book with Nat West of Reverend Nat's Hard Cider. 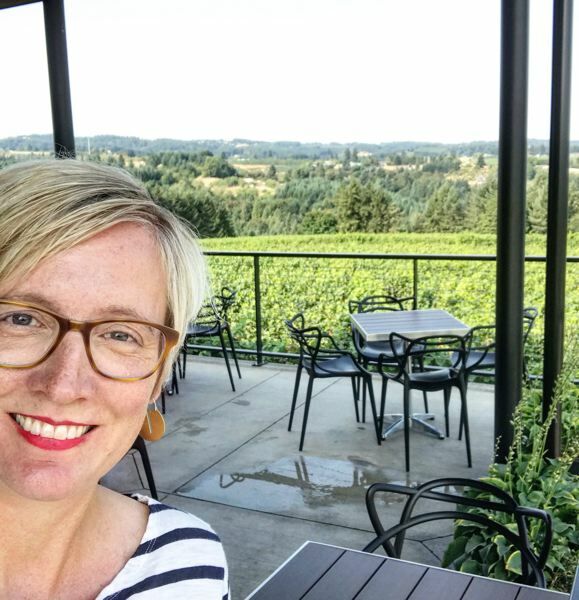 When she's not writing books Crain is doing pioneering work in fermentation; she organized the eighth annual Portland Fermentation Festival in October and spoke in Japan last year at a global event called the Fermentation Future Forum. Both the fermentation events and her books "feed the belly and the mind," she says. "I think people are always hungry for that sort of combo when it comes from the heart, inspires and educates." 1. What are you totally excited about in 2018 involving food and drink in Portland? • Carrie Welch: I'm excited about all of the fresh, new concepts that open here every week. There are so many to keep up with, and it's a wonderful problem to have to try and hit them all as well as our established favorites. I'm excited for the nonalcoholic drink trend to really take root here. It's nice to have other options when you need them. I'm looking forward to even more seafood being represented in our city and creative vegetable-forward dishes. Given all of that, I always return to the comfort food that also dominates Portland, and I know I'll never want for fried chicken options! • Chris Angelus: I have to say that nothing really comes to mind, other than hoping white clam pizzas — New Haven style (without the shells) — proliferate. There's a great one at Pizza Jerk now, and The Crown has been tweaking its recipe and only serving it on weekends. I hope skilled pizzaiolo Vinny goes back to the one he had when that place opened. Scottie Rivera of Scottie's pizza made me a nice one. If someone makes a great one and sticks with it, appreciation and demand will follow. It's the only thing I miss moving here from Connecticut. Well, maybe other than lobster rolls. I dream of the year of the lobster roll in Portland. • Liz Crain: The new Shalom Y'all opening up next to Plaza del Toro on Southeast Taylor in February, the huge new Reverend Nat's Hard Cidery slated for spring opening up just a hop and skip from Seven Bridges Winery, and the new H Mart opening on Southeast Belmont in the old Zupan's location. I love Korean food and it will be really nice to have a location of that market so close-in. 2. What food/drink trends in 2017 are you happy to say goodbye to? • Carrie Welch: One thing I love about Portland is that it's a city not obsessed with trends. I think most come and go quickly, so I don't think any of us will really miss activated charcoal, unicorn drinks and insects as we've probably only tried them once or twice. I'll keep my avocado toast though. • Chris Angelus: I really don't consider myself a trend-watcher. I would prefer to enjoy the proven old standbys in Portland. Unfortunately the new places and trends get all the attention, well, because they're news. What about the restaurants that have been here for years, staving off all the trends and news of the weird and new? Secondly, would someone please develop an app that automatically populates the perfect Instagram hashtags? I would like to see people spending less time with phones in their hands, and more time actually engaging with people in front of them. I am guilty, too. But I can see the day looming when, if not for business reasons, I give up the phone when it comes to food. • Liz Crain: I don't really follow trends, honestly. In general, if food and drink is tasty and made with love, I dig it. 3. What food/drink trends in 2017 did you absolutely love? • Carrie Welch: I loved the increased social consciousness around food this year. Many of the issues we've all read about for years took center stage. We've talked about where our food comes from a long time, but chefs and community leaders took active steps to create new models and efficiencies in our region. Scratch Farms and Milk Run are great examples. I also loved more diverse seafood options, new types of rum, and the amount of pizza that took up residence in Portland. • Chris Angelus: I have enjoyed the side of Portland that is celebrating cocktails. We've seen pop-ups like Shipwreck and Deadshot pair food to cocktails, rather than the other way around. On our podcast, we've discussed at length the fact that while other cities are catching up to Portland as far as food cities go, Portland continues to forge ahead as a trend-setter in spirits. They're creative, fun, different and this is not your father's bar scene. • Liz Crain: I'm glad we have more restaurants cooking up yummy dumplings of all different stripes in Portland these days. I love to see more and more special and focused food festivals like La Ruta PDX, the Korean Food Festival and Sake Fest PDX gaining ground. One thing I really want to see open up close-in in Portland is a great Chinese restaurant. Oh and a Cincinnati chili parlor. I'm personally starting to think a little more seriously about the latter. 4. What real social issue(s) do you wish we could address in PDX through the food and drink community? • Carrie Welch: I wish there was a more comprehensive way to address them all. The work we've done with Partners For a Hunger-Free Oregon over the years at Feast continues to open my eyes to just how intertwined the issues of hunger, food insecurity, poverty and access are. I feel good about our work to highlight the School Breakfast program, where kids around the state can access school breakfast without stigma. That and the school lunch and after-school programs we support are sometimes the only meals kids will have in a day. One in five kids in Oregon is food insecure and it's something we have to keep pushing and keep finding tangible solutions that everyone in the food community (and beyond!) can find a way to help. It's a terrible dichotomy given our celebrated food scene and the amount of amazing food coming from our state. Organizations like Urban Gleaners and Growing Gardens are also doing valuable work on the grassroots level, making sure healthy food gets to everyone who needs it. As a mom, I just can't imagine kids going to school hungry, coming home hungry or really just being hungry ever. And I want to continue to find meaningful ways to help stop it. 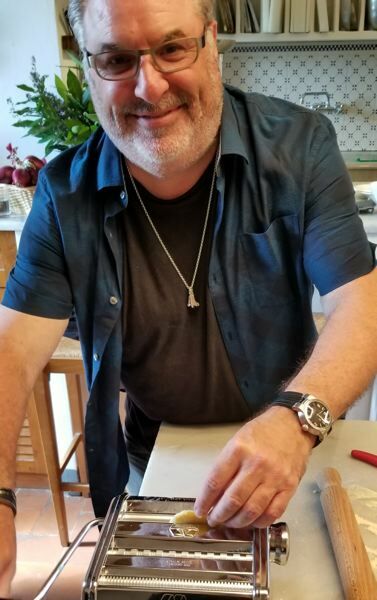 • Chris Angelus: Everyone should listen to our Right at the Fork podcast with Ole Latte's Todd Edwards. Their "Suspended Coffee" pay-it-forward program is fantastic, and if all restaurants and food businesses had something in place like that, we'd make a dent not only in hunger but instill a sense of simple altruism in the community, giving dignity and hope to those living on the fringes. • Liz Crain: I think it's important to support all the awesome nonprofits and businesses already doing important socially driven work through food and drink in Portland. This winter Moloko bar on North Mississippi Avenue and its owners Christian and Erin Vanderkooy Fitzpatrick did this huge three-part fundraising plus clothing drive where they got rad local neighborhood businesses to donate food and drink as well as gift certificates to make their dream come true of providing holiday feasts — big aluminum roasting trays with turkeys, local vegetables, gravy etc. — for 30 local families in need. That's a lot of families. It was really heartwarming to see all the local businesses and community members come together for that and achieve that goal. Cherry Sprout Market donated heaps of vegetables. Por Que No, Mississippi Pizza Pub, The ReBuilding Center, Black Wagon and many, many more businesses all stepped up.